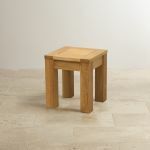 Classic yet contemporary, this Natural Solid Oak Square Stool makes an ideal bench extension for one of our popular table and bench sets. 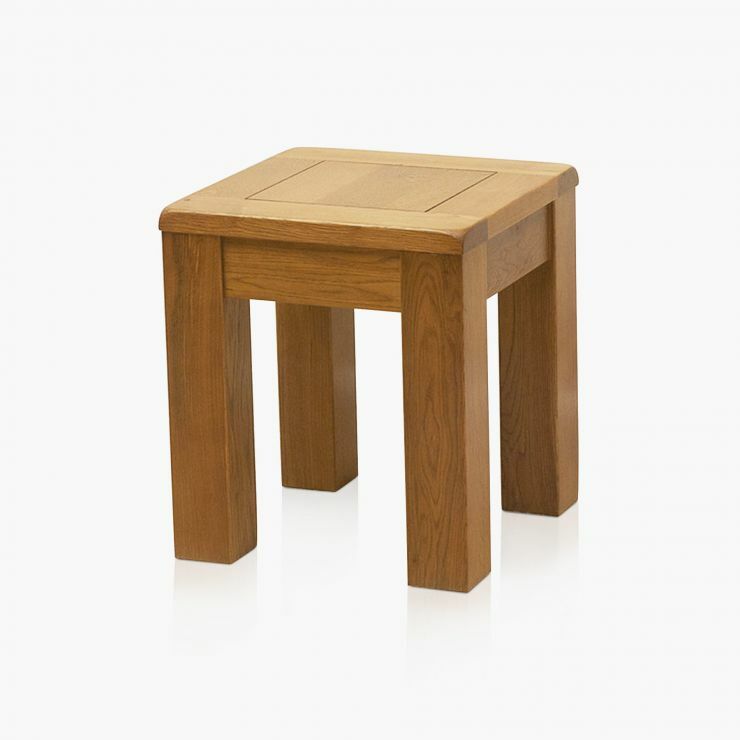 Handmade from premium grade solid oak, it also makes for a very stylish standalone piece - allowing it to double up as a versatile side table when not in use. Characterised by a chunky frame with beautifully inlaid grooves, the stool is designed to complement our solid oak 4ft 11" and 3ft 7" benches; so you can mix and match to your own requirements. 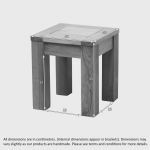 For a long-lasting protective finish, each stool is treated with a coating of specially-formulated clear wax polish. Why not check out our vast selection of solid oak dining tables for more ideas and inspiration?